Two-stroke 20ccm glowing engine with dual-carb RC carburetor. Power 2.70 kW at 9500 rpm. Weight with shock absorber 940g. Two-stroke engines ASP are an excellent choice for recreational sports, aerobatic model planes. They have a very reliable operation and easy adjustment; it's in the best sense of the word "consumer" engines that can afford to buy and run every supporter of the smell of gasoline - and thus actually methyl. And if they will take all reasonable care will propel your models reliably for years. 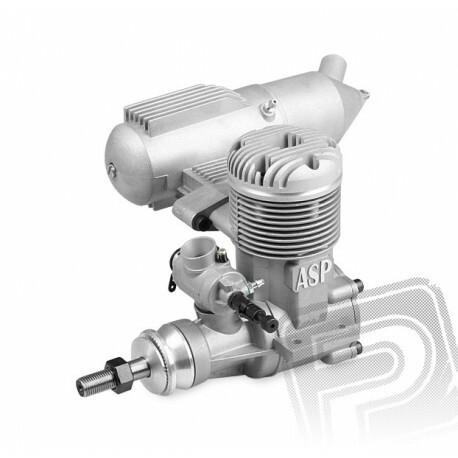 ASP 120AR is a two-stroke engine with glow plug classical design with a cylinder and a piston with a piston ring designed for model aircraft of all kinds. It is equipped dvoujehlovým RC carburettor; Basic package also comes an expansion muffler. The crankshaft has a propeller nut thread UNF 3/8. Suggested propeller dimensions: Running: 15x8 "/ Sport and Aerobatic: 16x8"
Recommended fuel tank: 500-700 ml. Recommended fuel: at least 18% castor or synthetic oil (or. A mixture of synthetic and castor oil), 5-15% nitromethane. Two-stroke ASP work very well also nitrated "FAI" fuel with 20% castor oil; After running, you can switch to fuel with 15% castor oil. 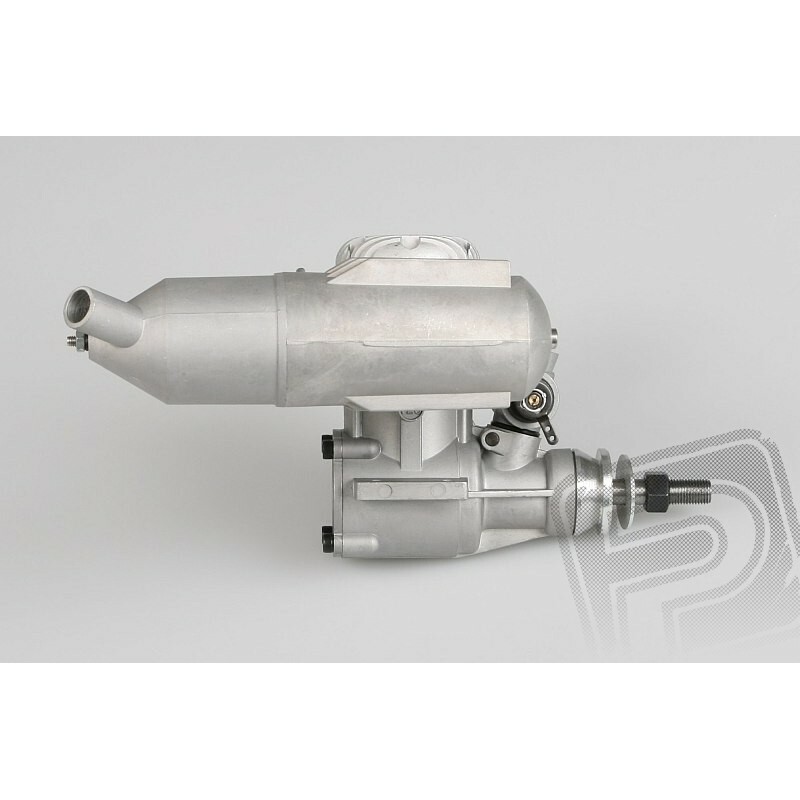 We recommend using fuel with a low content of nitromethane at least - running engine is then really highly reliable and carburettor settings is easier and less sensitive to changes in temperature and other environmental influences. Recommended plug: ASP Universal 2/4 cycle, OS MAX No. 8, when using fuel with a higher content of nitromethane OS MAX R5. 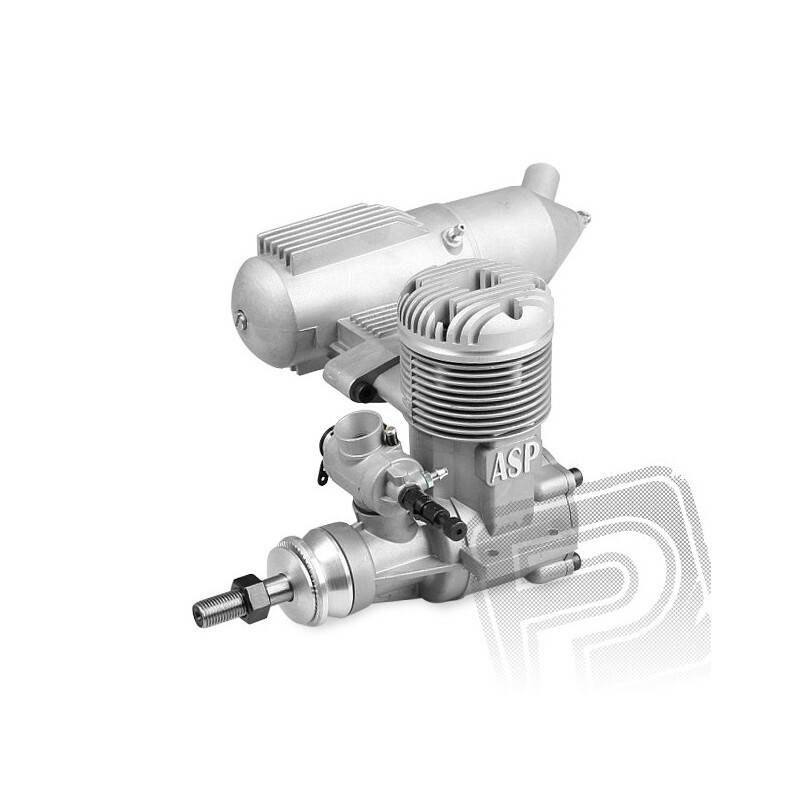 Set engine includes: RC engine with a carburetor, an expansion muffler with an adapter, allen move 4mm instructions. 120213 piston rod set with lockshield. 91816 O sealing ring carburettor.